The Belgian consumer association Test-Aankoop has joined the Italian consumer actions against Apple to end bad practices of Apple Care. We recall that the European Union laws require companies to offer two-year warranty on their electronics. 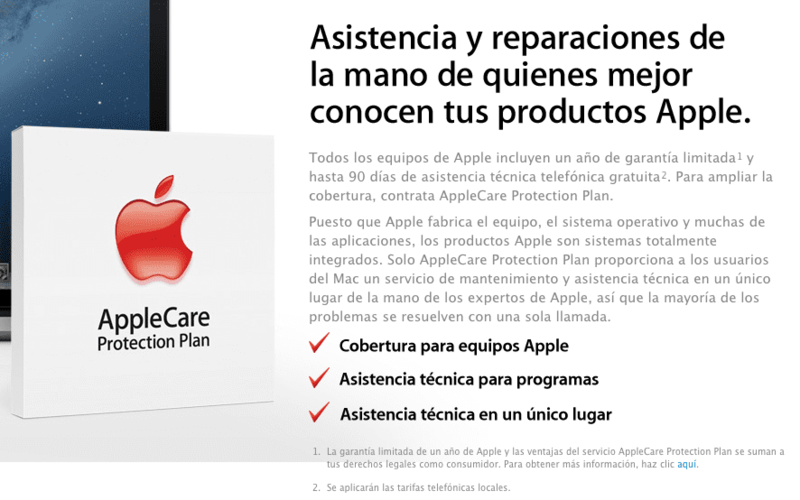 However, Apple is encouraging customers to buy the old continent Apple Care plan for its products, in order to "extend the warranty for another year." That is, Apple makes its European customers believe that the newly acquired devices only have a one year warranty and Apple Care extends for another year the extra. But the laws in the U.S. are not the same as those given in the European Union. According Test-Aankoop, its leaders have tried to hold talks with Apple in Belgium on more than one occasion, no response. This is why Apple has decided to sue. The laws do not work in favor of Apple in the European Union. We recall that Italy was fined 900,000 euros although Apple and apple appealed, eventually lost. Apple Will deign to change its policies in Europe once and for all? Article Belgium sues Apple for misleading customers with Apple Care was originally published in News iPhone .